Welcome to our website. Please feel free to browse our pages to learn about our ships history. If you served on one of our ships you are encouraged to join our association and submit photo and other items for publishing here. You may also join us on Facebook by clicking on the link elsewhere on this page. If you served on one of our ships an you are not listed on one of the rosters to the left, please click on the "Get added to the Crew" link under "our Shipmates". Would you like a ship's ball cap, polo shirt, or T-shirt, then visit our "Ship's Store" link above. Currently the store is holding a sale on older remaining items. The store order form also allows you to become a dues paying member. We mail out a newsletter in the first part of each year and it is under the Newsletter link as well. You must add yourself to the Crew Mailing List in order to received the Newsletter by mail. 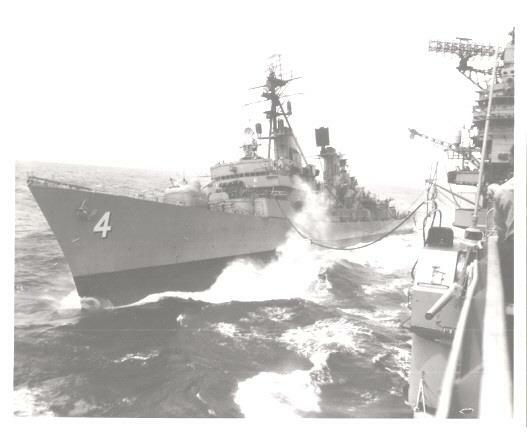 Our reunions are held every other year at a location choosen by our shipmates who attend the reunions. The next reunion will be held in San Antonio, TX. from May 1-5, 2019. For additional information and to sign up for the San Antonio, TX Reunion, please click on the "Reunions" link at the top of this page. The "Reunions" page also has photos of past reunions. REUNION INFORMATION IS NOW AVAILABLE ON ALL LINKS RELATED TO THE REUNION. Cruise on in to our ship's store using the tab at the top of the page to find 5 new styles of T Shirts including our special 2015 Reunion Shirt. Shirts are all now only $10 each until all remainin shirts are sold out. Not all links and pages are complete at this time. Once everything is working this message will no longer appear. The USS Lawrence Association was incorporated as a 501.c.19 non-profit veterans group in Pennsylvania on July 17, 2008. A copy of our Constituion and Bylaws are available upon written request. The USS Lawrence Association is dedicated to preserving the memory of all ships and those who served on them named after Captain James Lawrence. To discover who Capatin Lawrence was, please click on the "Our Namesake" tab above. To learn the history of our ships click on one of the tabs under 'The Lawrence Fleet". The USS Lawrence Association is proud to support establishing the USS Charles F Adams DDG-2 our sister ship, as a floating museum honoring all of those who served on the Adams Class ships.